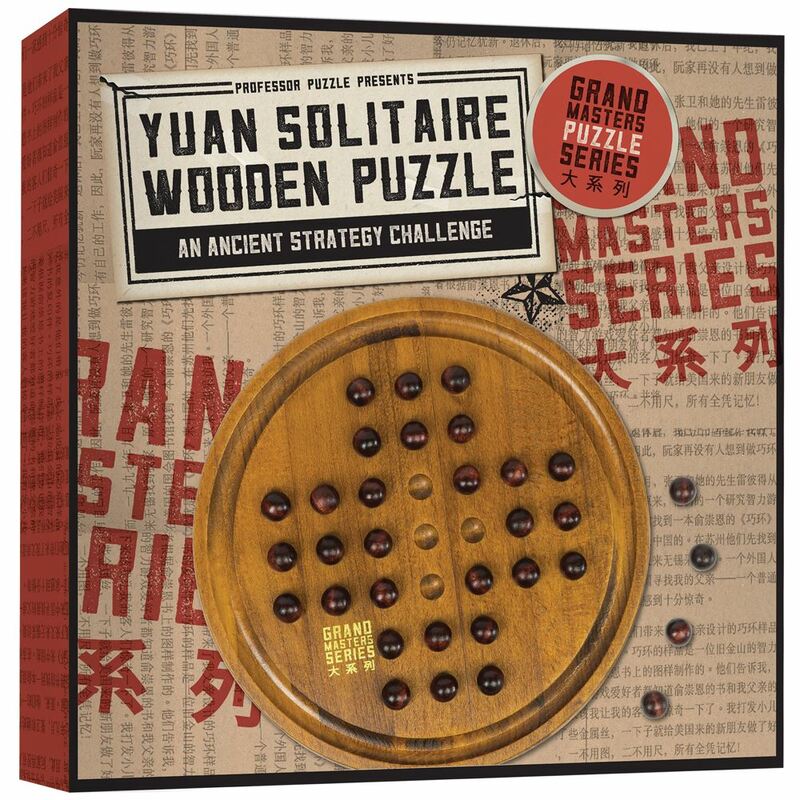 Are you forward-thinking enough to play this classic Professor Puzzle game, Yuan Solitaire, with a winning strategy? The aim is to remove every wooden ball from the board, except for the final one which must end up positioned in the central hole. 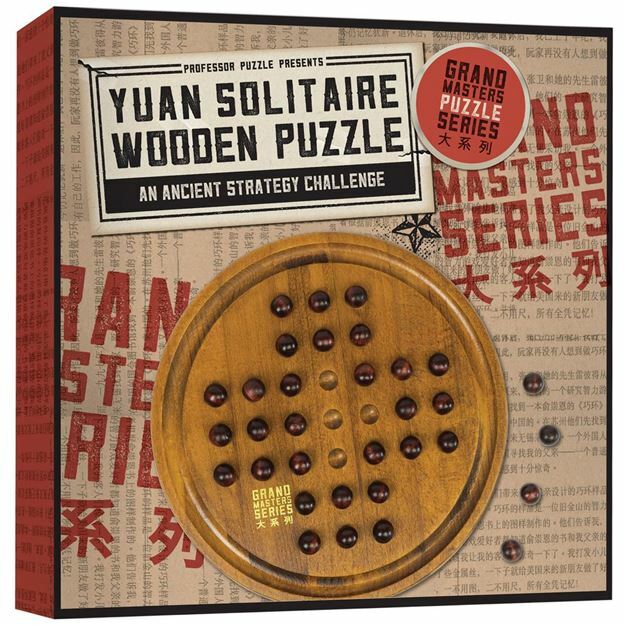 Comprised of circles - the board, the wooden balls and the holes in which they sit – this puzzle is inspired by the symbolic status that the circle holds in Chinese culture - wholeness and eternity. Part of the Grand Masters range. Difficulty rating: Emperor. Distributed in New Zealand by Holdson.